Whether you need to mow the small lawn outside your front door, the large field at the back of your farm or ranch, or the enormous park your landscaping company is paid to maintain in the heart of town, you want the best mower your money can buy. 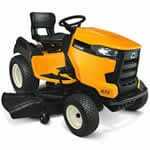 Mowers Direct has compiled lists of the best mowers available on our site. For each type of mower, you’ll find lists of the best-selling, top-rated, and expert-recommended models. Want to know more about each type of mower? No problem. Our Lawn Mower Buyer’s Guide can help! No matter what, you’re bound to find a great mower for the work you do. Take a look! Best Lawn Mowers.. Our Power Equipment Direct how-to library can help you learn about How to Fertilize Your Lawn, Vote for Your Favorite Brands in Mower Madness 2019 and Official Mower Madness Contest Rules.